In 1836, the Oakville Brewing and Distilling Company was opened to take advantage of Oakville’s endless amount of grain. They supplied alcohol to the taverns in the area including the Oakville House. In the 1830s, a gallon of whisky could be purchased for two shillings and sixpence, whereas beer was bought by the barrel at 13 shillings. On average, the brewery could produce between forty and sixty gallons of whisky per day. The Oakville Brewing and Distilling Company was eventually converted into a tannery in 1856 when it was purchased by Thompson Smith. In 1861 alone, the tannery was able to convert 3,000 hides into 6,000 "patent soles and upper leather" which were used by shoemakers. Sole leather could be purchased for $0.36/lbs and sides of upper leather for $0.47/lbs. However not long after, Charles Armstrong bought the tannery in the 1870s, and in the 1880s Stafford Marlatt bought into the factory. 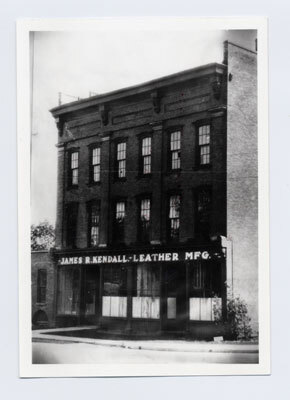 The name of the tannery was then known as the Marlatt and Armstrong Leather Company. At this point in time only two major industries were operating in the Town of Oakville, one being The Basket Factory and the other the tannery. This tannery became one of Oakville’s most successful industries at the time and by the 1900s was the largest factory in Oakville. Employing almost 200 residents, the tannery played a significant role in Oakville’s economic stability. The machinery ran on steam, and the sound of the steamwhistle became familiar among residents - many people actually relied on the steamwhistle for the time! The sound of the steamwhistle was also a fire alarm. It would sound if there was a fire, signalling the location by the number of whistle blasts. When the fire alarm at Town Hall stopped working during a fire in 1911, it was actually the steamwhistle from Marlatt and Armstrong that signalled firefighters where to go in Town Hall. Over the years, Marlatt and Armstrong acquired more property to expand their services. The main factory however was located on Forsythe Street. The tannery produced a number of products including leather purses, gloves, seat covers and carriage tops. Known for their patent leather, Marlatt and Armstrong products were in great demand. This leather company was successful over the years, but officially closed its doors in 1924, leaving an ‘impending’ sense of doom over the town, as so many people had depended on this company for their livelihood. 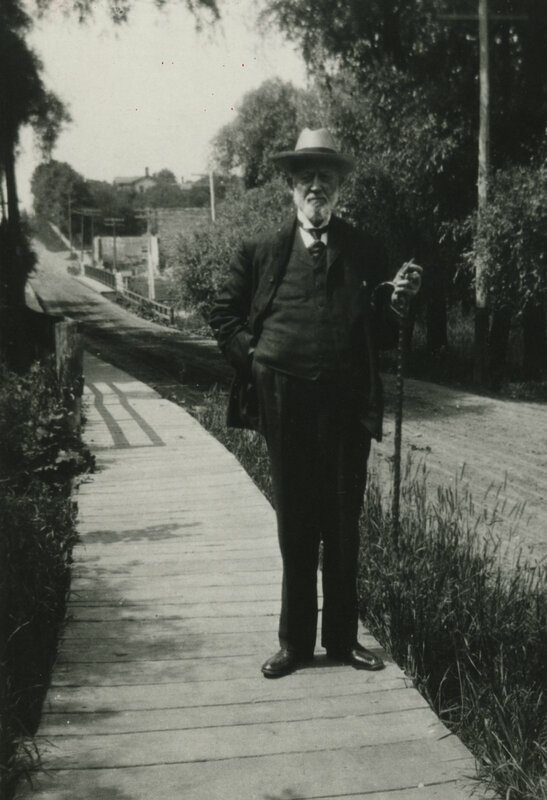 After Marlatt and Armstrong was shut down, James R. Kendall purchased one of their old buildings at Navy and Lakeshore Road. Here he continued to manufacture a variety of leather products, but the factory never reached the same scale as Marlatt and Armstrong. In 1948, the building was completely destroyed by a fire. A stained glass window, donated by Stafford Marlatt, can be seen in Knox Presbyterian Church. It is one of the oldest stained glass windows in Knox, and is said to be visually striking. Stafford Marlatt had the window installed in memory of his wife and daughter. His daughter was killed at the young age of nineteen when she fell out of their buggy, as the horses bolted. Marlatt’s wife passed away at the age of sixty, three years later. Information credited to: Creighton, Sheila. The Oakville Book: Oakville then and now. Oakville, Ont. : Rubicon Publishing Inc., 1993. Print. and to: Mathews, Hazel C. Oakville and the Sixteen. Toronto, Ont. : University of Toronto Press Incorporated, 1953. Print. and to: McKeon, Clare and Joseph P. McKeon. Oakville, A place of some importance. Burlington, Ont. : Windsor Publications, 1986. Print. and to: Murdoch, Bruce. "Oakville is on Eve of Boom Days." The Hamilton Spectator 10 Nov. 1951: 2. Print. and to: "Featuring Old Oakville." Daily Journal Record [Oakville] 12 Oct. 1967: 1. Print. and to: "Old Oakville's Industries Made Ships, Engines, Beer." Daily Journal Record [Oakville] 1 Sept. 1967: 1. Print.